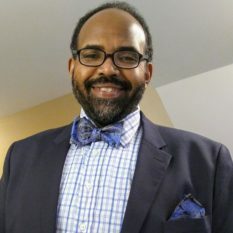 Jerrod L. Williams (‘02) will be installed as the next President of the Cook County Bar Association (CCBA) on June 20, 2019. Jerrod has been a member of the CCBA since 2013, where he has served as the Chair of the Continuing Legal Education Committee, Judiciary Committee and the Rapid Response Committee, and a member of the staff of the Newsletter Committee, in addition to serving on the Board of Directors and later the Executive Board. Jerrod currently serves as the Senior Appellate Court Law Clerk at the Illinois Appellate Court, First District. In May 2017, he was appointed to the Illinois Judicial College as a member of the Committee on Judicial Branch Staff Education. In May 2018 he was named Co-Chair of the Economic Development Task Force for the Austin Quality of Life Plan (QLP). The QLP is a comprehensive, community driven set of strategies and actions to improve lives in the Austin neighborhood in Chicago. He also works on the Civic Education Task Force for the QLP. Jerrod is a member of the South Austin Neighborhood Association, where he developed and obtained funding for a program to teach youth about growing food, healthy eating, and the importance of community.